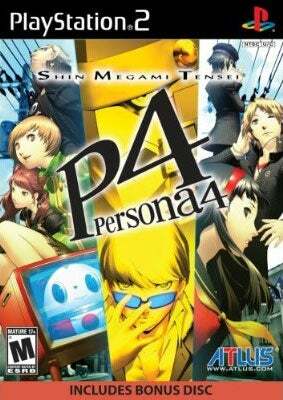 Why haven't you picked up Persona 4 yet? Is it because, like me, you have about 10 hours of gaming time a week max and the idea of a 40 hour-plus game scares you? If so, I can sympathize. But if your reasoning is "I pay no more than $26 American for any PlayStation 2 game" you really have no excuse. It's Amazon's "Deal of the Day," one of a half dozen PS2 titles getting the cheap treatment in the old Gold Box. At $25.98 USD (shipped! ), we can't imagine how you could leave it on the virtual store shelves. We're hoping the next "Lightning Deal" is Yakuza 2. Even if it isn't, a new copy of Persona 4 for under thirty smackers will more than make up for it.